In a nutshell, the Gutenberg WordPress editor is the latest page builder that is integrated with the WordPress core. Gutenberg, also known as the block-based editor will add content blocks and page builder-like functionality to every up-to-date WordPress website. Using Gutenberg, content is added in blocks of various types from the WordPress backend. Eventually, the Gutenberg block-based editor will replace the old-school TinyMCE editor as the default content editor. To simplify the latest changes happening in WordPress 5.0, here we list down the important features you need to know between the old-school Classic Editor (TinyMCE) Vs the latest Gutenberg editor. Gutenberg is a transformation of the WordPress editor for working with content. With the new WordPress 5.0, the brand new "2019" theme is included as well! The 2019 Theme is designed with full block-based editor compatibility and with various purposes in mind such as blogging, business and non-profit etc. Q: Is It True That WordPress 5.0 Gutenberg is a Page-Builder ? There is a misconception that Gutenberg is a page builder but the actual fact is that it is not, to say the least. To say that the latest Gutenberg editor is a front-end editor is not true also. As it stands now, it serves as a content editor. As far as we are concerned, Gutenberg introduces the blocks concept and make things easier for you to get the most out of your content. Q: What Will Happen to My Existing Themes and Plugins if I Upgrade to the new WP 5.0? Rest assured that all of your plugins and themes will be updated by the respective developers in order fit into the brand new blocked-based Gutenberg editor. However, there is no guarantee that your custom theme which works well on the Classic Editor will work as well on the new Gutenberg editor. So, some fine-tuning work is required on this aspect. Q: Will Gutenberg slows down my website and hurt my SEO ranking? This is a very good question. As far as we are concerned, the Gutenberg will add a bit of overhead to your website which might have an impact on loading speed. As we all know, search engines prefer fast loading websites so hopefully this issue shall be addressed by the developers. Our recommendation is to backup your website first before pressing the Update button. If things don’t go to your plan or does not meet your expectations, you can always restore the backup file. Q: Can you demonstrate the most useful tips or tricks using Gutenberg? The most useful tip we found using the Gutenberg editor is the / shortcut. Type this in an empty block, followed by the first letters of the block you want and you will be instantly presented with the block you’re looking for. Basically, you can use this for everything! Q: Wait! What if I’m not used to Gutenberg and wish to revert back to Classic Editor? 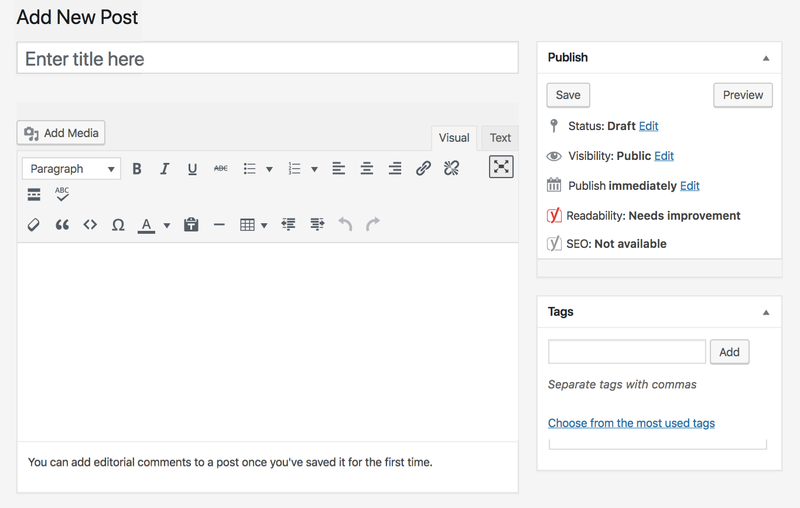 Simple, you just need to install the Classic Editor plugin into your WordPress blog and activate it. The good news is that the Classic Editor plugin will receive support until December 31, 2021. Need More In-Depth Info About Gutenberg? We know Gutenberg brings excitement and will certainly revolutionize the WordPress platform in the future. For those who can’t get enough of Gutenberg, you can watch this video for the full in-depth description of Gutenberg. For your attention, this presentation lasts for 45 minutes, so remember to get your favourite beer or coffee ready first before you press the play button! 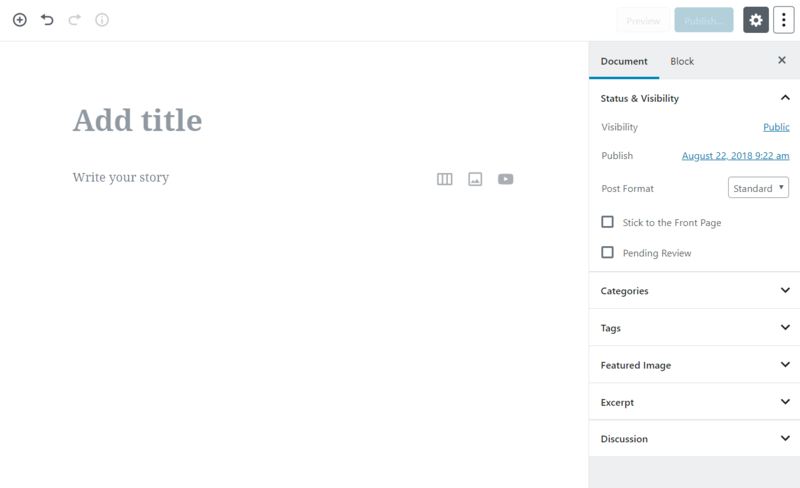 There’s no beating around the bush: a new WordPress editor has arrived. Diehard fans of WordPress may welcome the latest Gutenberg editor with excitement but there will be certain parties who are yet to be ready with the latest development on WordPress 5.0! Just like what we mentioned earlier, some people will probably take some time trying to get familiar with the new block editor. This will probably break some stuff, but in the end, we will get a much more streamlined environment with a lot of cool possibilities down the road. Not ready to install WordPress 5.0? Or you want WordPress 5.0, but not the new block editor until it is more stable? No problem, just install the Classic Editor plugin and that will solve your issue immediately! We hope you enjoy reading this article! Please feel free to drop your questions if you have any regarding the latest WordPress 5.0 Gutenberg editor.